As usual, I’m linking up with Christina, Karly, and Amanda! John and I have tickets to the Phoenix Suns game tonight, and it should be a great time! Although I am not super into watching basketball, sporting events are always fun for pictures and tasty food (amirite?)... and using his firm’s seats certainly helps sweeten the deal! My friend recently told me about the Paprika app... have you heard of it?! 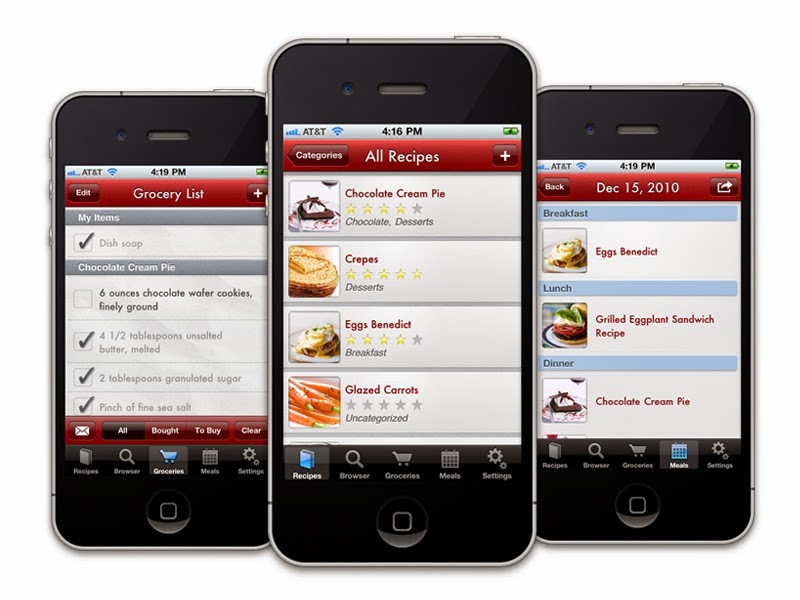 Basically, it is a recipe storage app where you can load all of your recipes into a single place. The best part? It generates grocery lists for you! This is a huge score for me since I am always sitting in the parking lot trying to figure out what I need 15 seconds before I go in, ha! I know I say this all the time, but I mean it this time... we are starting to bring our lunches to work! We have been spending a ridiculous amount of money on lunches out (and daily trenta Starbucks runs...). In attempt to save some cash, I’ve started making my beloved green tea lemonades at home. I haven’t quite perfected them yet, but they are still pretty tasty! The weather is really warming up here in Scottsdale, and it is making me crave bright summer colors and prints. I'm looking forward to breaking out all of my summer clothes (but first, to clean out my closet...)! 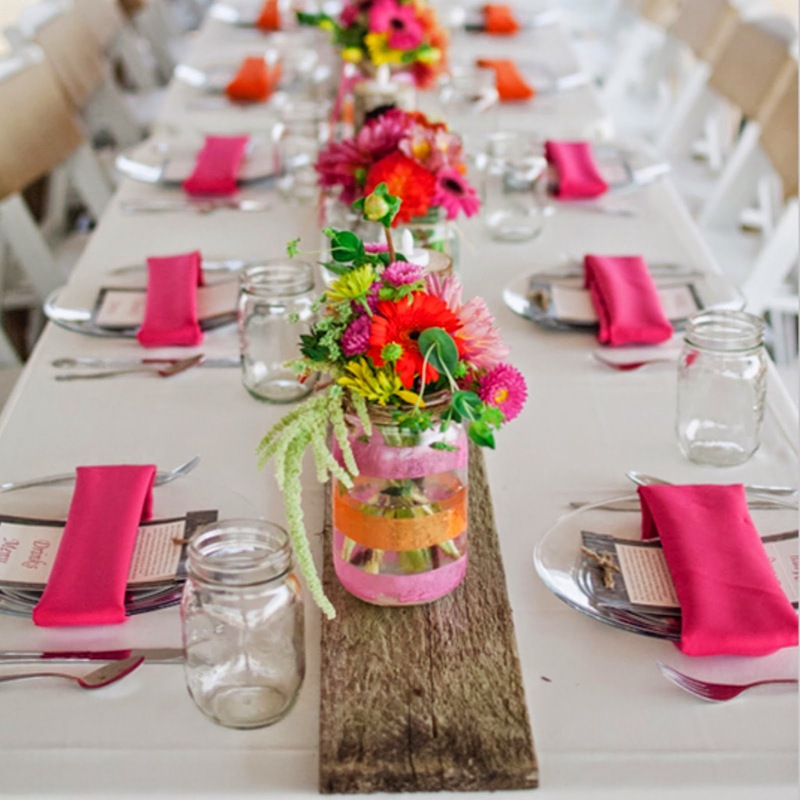 And speaking of bright colors, can we all just take a moment and appreciate the wonderfulness of this table setting? I absolutely love the bright napkins and flowers paired with the white linens and the raw wood to balance it all out - perfection! I love the food at sporting events! Enjoy. Wow all 5 of your faves are on point! Definitely get a hot dog or a giant pretzel at the game! And that table setting is fabulous! Happy weekend! Sporting events are perfect for pictures & tasty food :) Hope y'all have fun at the game! When you do perfect the green tea lemonade you just post the recipe, I would love love love to make that at home! Enjoy the basketball game, they are always fun regardless of being interested! umm. . . sporting events are all about the food!! Love the idea of the app, especially the fact that it generates a list for you, that's exactly what I need, enjoy your weekend! Good luck on the green tea lemonades; it looks delicious!! I'm not hugely into watching the sporting events either, but I love going and enjoying the atmosphere and food. Have a great weekend! A few things-- feel free to send me those clothes when you "clean out your closet", hehe! That Paprika app sounds PERFECT and I'm downloading that ASAP. I'm so excited for you to go to that basketball game! 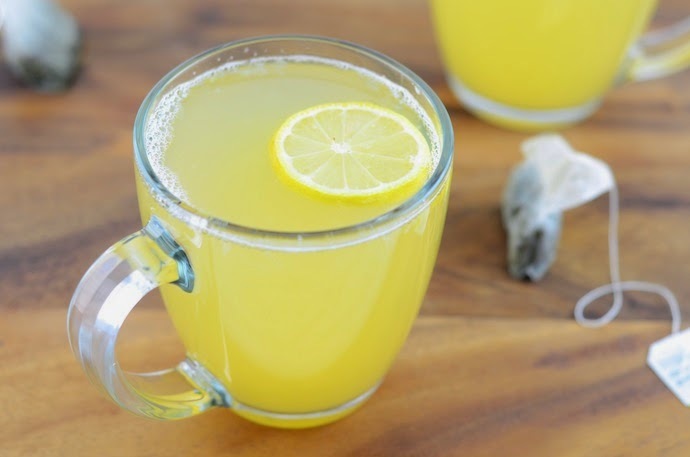 This is inspiring me to get back to making my own lemonade tea at home too! I like to use the Taza Passion Fruit tea - so good and definitely a lot, lot cheaper to make it at home, vs. good old Starbucks! Hope you have a great weekend and have fun at the basketball game! Have so much fun at the basketball game tonight! I feel that way about all sports. I will go to the games because they are fun and the food is delish - even though I am not a sports fan. Have a fab weekend! When you perfect the green tea lemonade thing, you MUST share!!! I'm so into bright colors this time of year. I want to scream, it's warm outside put your dark and gray stuff away. Hahahaha Loving the table setting. Never heard of that app but it sounds like a perfect helper. 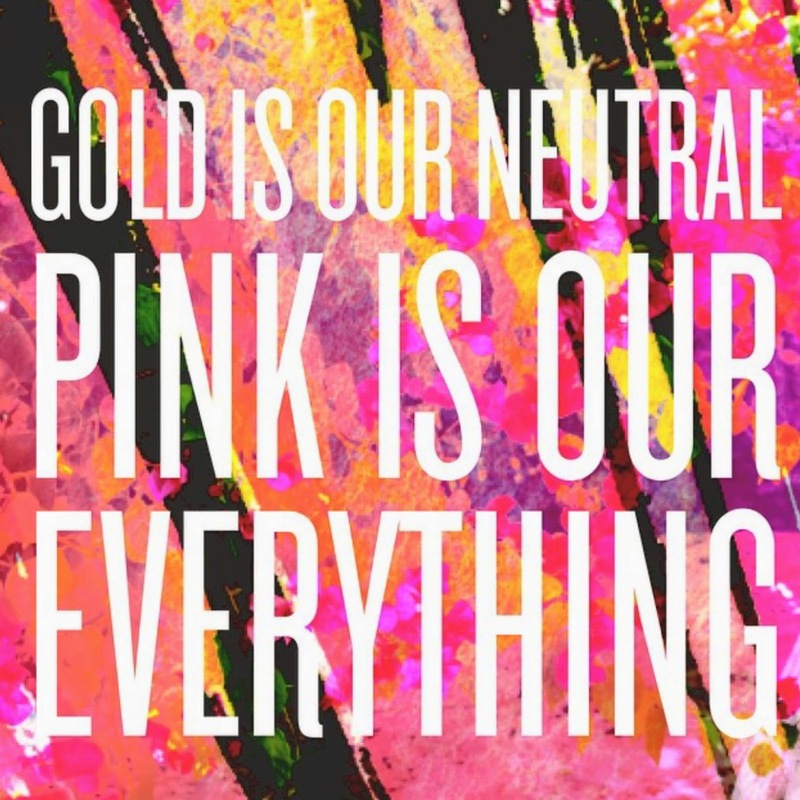 But pink really is everything, right? Have a great time at the game tonight! Happy Weekend! That app sounds amazing- I'm the same way with forgetting ingredients or waiting until the last minute to try and gather them up. I usually don't like pink, but for some reason this year I want hot/bright pink everything! I hope you guys have fun at the game tonight! I love that tablescape! Hmm green tea lemonade sounds like something my husband would like! That app sounds awesome! I'm all the time scrolling through my Pinterest trying to find where I thought I pinned something!